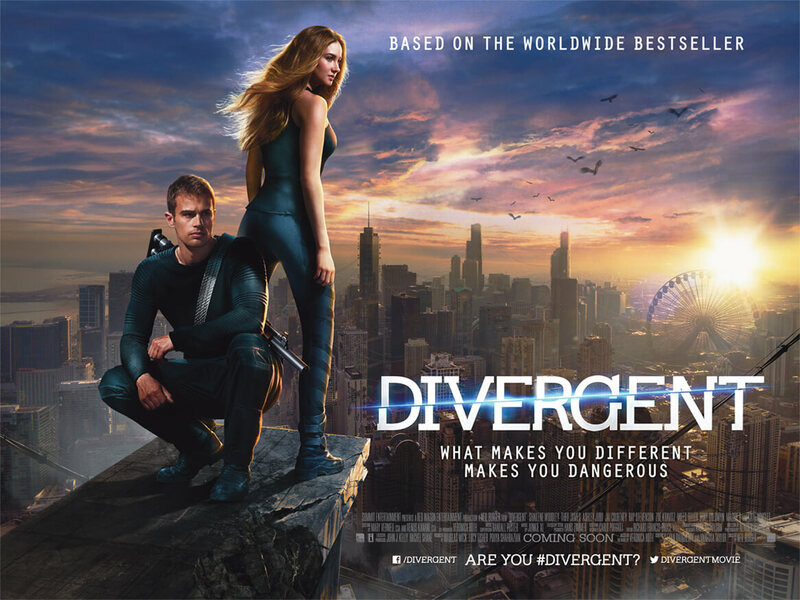 Divergent is to The Hunger Games what Pepsi is to Coca-Cola; an ambitious replica of an established formula, but at the same time a pale and soulless copy of what was already perfect. Based on the first book in a three-part series by Veronica Ruth, Divergent is the latest YA adaptation to try and capitalise on the success of past franchises like aforementioned Hunger Games and the like. It has its moments, but as a standalone flick it does not have the right legs to carry itself all the way to the finish line. It’s worrying in this case because this is supposed to be the first in a planned film trilogy (that is, unless they decide to go all Harry Potter on us and split the third and final story into two, God forbid [EDIT: Never mind.]) and, as such, the world and characters need to be established as efficiently as possible so audiences can be invested for future follow-ups. By the time they do try and establish some sort of character to anyone outside the main hero, it’s too late for our investment to take hold. We’ve been suckered into a uninteresting world that likes to talk about uninteresting facts instead of showing them like a visual medium should and can do, and by the half-way point we don’t care that much about what happens to these people or if they get out of this mostly unscathed. All we can hope is that this picks up a lot more in next year’s sequel Insurgent, though bringing aboard the director of R.I.P.D to helm it isn’t going to show the best confidence. Not that this film, directed by The Illusionist’s Neil Burger, is entirely without merit. Woodley’s performance, as previously noted, is strong despite the thin material she is given; some of the ideas and visuals, particularly in the numerous hallucination sequences, are intriguing to watch if done a million times already; and the ending, while extremely rushed and crammed with plot threads that could have been sacrificed for a more effective cliffhanger, does to its credit raise interest as to where it’s going to go. Let’s just hope that it goes to a more insightful follow-up that balances story and character more efficiently, because as Divergent stands it doesn’t do the best job at keeping us completely hooked on characters we don’t know or care that much about in a world we know too much of and care even less. A clunky start to a new franchise, but like every other contender in the sprint let’s see if it can pick up speed after a rocky start. While certainly more watchable than other lesser YA adaptations like The Host – though that’s not saying much – Divergent is a weak opener to a new franchise that favours exposition over honest character development, which in turn leads us to not be as invested as they want us to be. Next year’s sequel, Insurgent, will determine if the rest of the franchise can get better or if it will fall into the pit along with all the other Hunger Games wannabes.